Cheryl Scott, MAI is a Vice President representing CBRE in the Pensacola area of the Florida Panhandle region. Ms. Scott is a part of the Valuation & Advisory Services’ Tampa office working out of Pensacola, Florida. 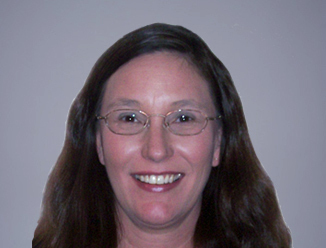 She has over 25 years of real estate appraisal, review and consulting experience including five years of service as a Real Estate Auditor for the Office of the Auditor General in Tallahassee, Florida. Ms. Scott’s diverse experience base enables her to assist clients with insight relating to a wide variety of purposes including, valuation, lending, accounting, FASB-14 analysis, portfolio management, disposition and project feasibility, as well as, USPAP, FIRREA and internal compliance reviews. Ms. Scott’s experience encompasses a wide variety of property types, including the review and valuation of resort projects, single family subdivision, multifamily apartment projects including assignments for FNMA and FHLMC, entertainment venues, industrial distribution facilities, self storage facilities and retail properties including, but not limited to, regional malls, lifestyle center, power centers, grocery-anchored centers, and net leased assets. Ms. Scott is a member of several specialty practice groups at CBRE including the National Apartment Specialist Team, National Self Storage Valuation Group and the National Retail Practice Group. While Ms. Scott’s primary geographical location is in the Panhandle region of Florida, appraisal and review assignments have also been completed in the State of Alabama, as well as, the Caribbean, and various states nationwide. As a designated member of the Appraisal Institute, she has completed all course requirements and is current with the continuing education program of the Appraisal Institute, the State of Florida and the State of Alabama.